Appearance: Dense and quite dark at the core making way to a crimson red rim. Nose: The mildly perfumed nose reveals vanilla, blackberry, blueberry, pine needle, dusty cocoa and baking spices. On the palate: The 2010 Northstar Merlot is a powerful, tightly-wound wine even at over 4 years old. The mid-palate develops with copious blackberry and black cherry flavors before revealing notes of pine needle, graphite, molasses, cocoa and clove. The tannins are firm and drying. After an extended decant the silky texture begins to reveal itself. While this is enjoyable to drink now I believe it has great aging potential and would benefit from several more years of bottle age to soften the tannin. Price: $19.99 On Sale (Regularly $24.99 at Costco ) – Standard retail from Northstar Winery is $41 for the most recent 2011 vintage release. Should you buy? Absolutely, this is a Cabernet lover’s Merlot! Even if you only buy the Northstar Merlot to prove to yourself that all Merlot mustn’t be soft and boring. This is a stellar value at Costco’s price. Washington State is the second largest wine-producing region in the U.S. The Columbia Valley is the largest wine region within the state of Washington with over 11,000,000 acres. 40,000 of those acres are planted to vine. 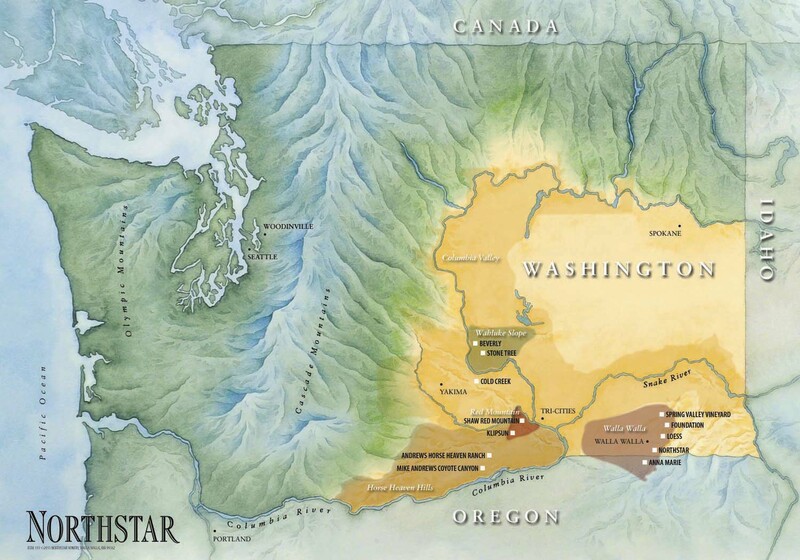 The Columbia Valley AVA includes an astounding 99% of the total vineyard area within Washington State. A small section of the Columbia Valley actually lies within Oregon. The Cascade Mountains shelter Columbia Valley from much of the harsh storms originating in the Pacific Ocean. Eastern Washington is a semi-arid climate receiving only 6 to 8 inches of annual rainfall. 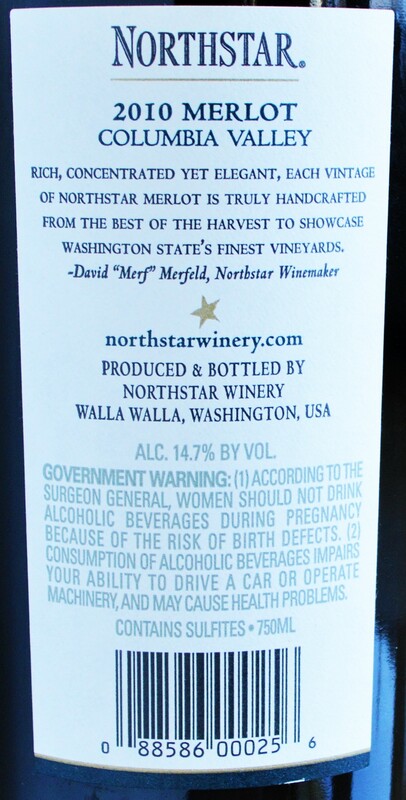 If the 2010 Northstar Merlot is any indication, Northstar Winery is not just producing world-class Merlot but is setting the standard. This is excellent Merlot – structured, elegant and complex with real aging potential. Truly a Cabernet lover’s Merlot, the Northstar Merlot has just enough of that silken texture to remind you what you’re drinking. Even Miles might approve of this one! My suggestion is to check your local Costco Wine Section to see if they have gotten any of the Northstar Merlot in stock. If so, stock up! This is an incredible buy for under $20 and will not last. The 2010 Northstar Merlot even boasts a solid 93 point score from Robert Parker. If you can’t get it in the Costco Wine section, then don’t hesitate to pay a little more for the Northstar Merlot – at under $30 you can rest assured that this is still an excellent value. My loyal readers like yourself are the best, but thank you! Such a great review. We are so excited you finally tried Northstar, especially at such a fantastic price. We are pretty amazed with the idea that we can keep a few bottles for years to come. (We personally bought a case). Here’s to the state of Washington! 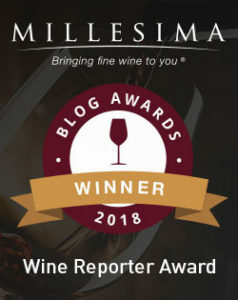 Great post, just wished our Costco in Maryland sold wine!!!!!! Thank you! I agree… It’s really too bad that beer and wine cannot be sold in Costco or grocery stores in Maryland. Hopefully the legislators will relax these rules at some point. Washington wines are world class in my books. Especially Cabernet and Merlot. I tried the 2009 and thought it was a pretty good wine and thought 91 pts was fair. I can’t wait to try the 2010. The 2012 vintage looks like an excellent vintage. The 2012 Columbia Crest (sister company with CSM) H3 was very good and a can’t lose at $10.99. Nappa is too far for a weekend drive from Vancouver, BC, but Columbia Valley is not too shabby. I completely agree. I can’t wait to visit the Columbia Valley myself. Funny you mention the Horse Heaven Hills ‘H3’ Cabernet as I actually have a bottle on my counter to review! I’m looking forward to seeing how a Washington wine can compete in that highly-competitive price bracket. Can you give me any feedback on the Northstar 2012 Merlot? I heard it won a blind taste test versus several other very, very expensive Bordeaux wines. I mean VERY expensive!! It also beat out an exceptional Napa merlot. Thanks! I haven’t seen the 2012 out in my area yet – but will keep an eye out for it. That it potentially outclassed several acclaimed, pricier bottles doesn’t surprise me at all. Do you have a link to that article by chance? I’d be interested in checking it out. Year after year Northstar makes some of the best Merlots! They have substance, and a wonderful herbal quality to them. I tell people all of the time that a Merlot can be every bit as good as a cab provided it’s done right. Northstar does Merlot right! They sure do, Art. Cheers! I was given a bottle as a gift. A Cabernet lover’s Merlot was the perfect tagline. I am usually hesitant with Merlot. This is lush and delectable. Plus I am a sucker for black cherry. Superb. Will be stashing a few bottles of this for a later date. I also have a stash of these. Looking forward to seeing how they evolve with time.